rupee stong than dollar at 60.82 , 10 paise below from yesterday closing, RBI announce RBI credit policy and unchange Repo rate as well as CRR , but SLR decrease by 0.5% for increase liquidity in bank loan. Effect on stock market : negative effect after policy, infra share was down , stock market taken recovery after global trend and rupee strength. 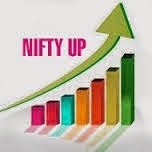 tomorrow nifty tips and option call: nifty first resistance at 7765 then 7781 if break up side 7790 then 7823 should be come. Down side 7721 then 7680 strong support for nifty. Provided here great trading tips for stock market trading. Your calls and trends are very accurate. Please keep posting more for us. I have always enjoyed reading your blog. Thanks for sharing.